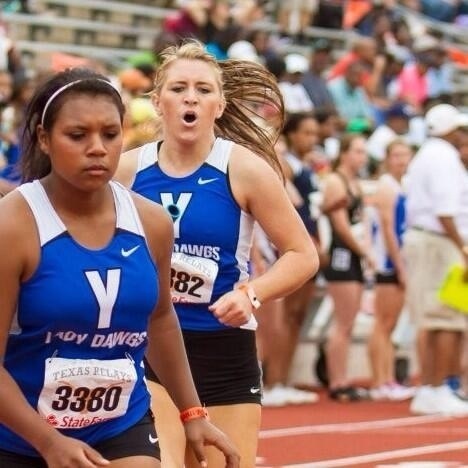 Track Probs | Live, Love, Track. I’ll never forget the day I went to war with my body. 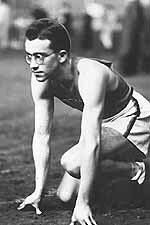 I was considered a “multi” athlete in high school track and field, meaning I competed in a variety of events. 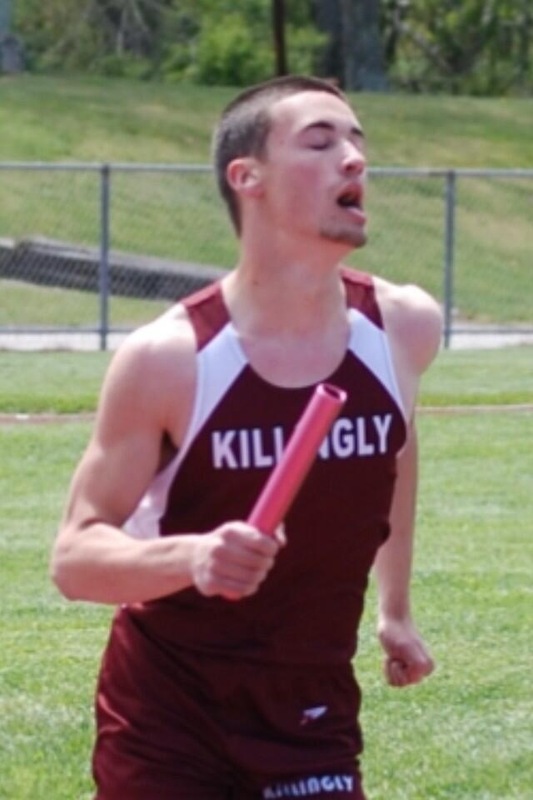 It was the sectional meet of my senior year and I had already qualified for the state in javelin, discus, and high jump. 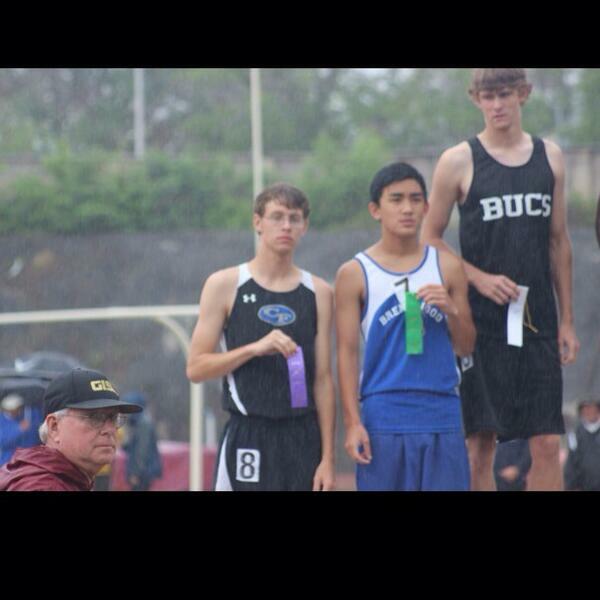 The last event I was trying to qualify for was the pole vault. Prior to the competition the officials had each of the girls competing step onto a bathroom scale. When we stepped off the scale the officials wrote our weights on our arms in thick black marker. Many of us were puzzled. I had competed in previous sectional and state competitions prior and this was the first time I ever experienced a “weigh in.” The officials informed us that “for safety” our weights needed to be equal to or below the manufacturer’s pole rating. To this day I still don’t fully understand this rule as it is only enforced in some high school divisions, but not at the college or professional level. 148. That was my weight written boldly on my arm for all to see. “Wow! You don’t look like you weigh THAT much,” said one of the girls I was competing against. I think she was trying to compliment me, but it absolutely crushed me inside. In an instant my mindset shifted from thinking about the competition to thinking I was the heaviest girl out there. I became aware of the girls around me and how my body was “bigger” than theirs. I wasn’t going to be able to use the 140lb pole I performed with all year and at the last minute I was able to borrow a 150lb pole from the boy’s team. 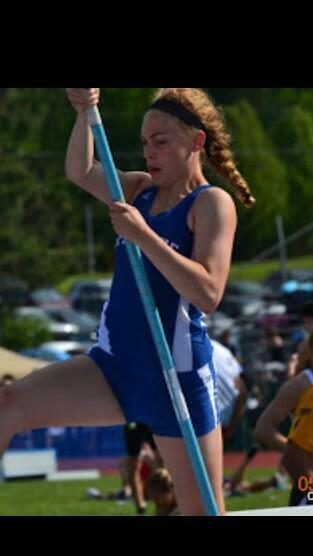 I barely qualified for state, stick vaulting over the opening height on my third attempt. I couldn’t bend the pole to save my life. 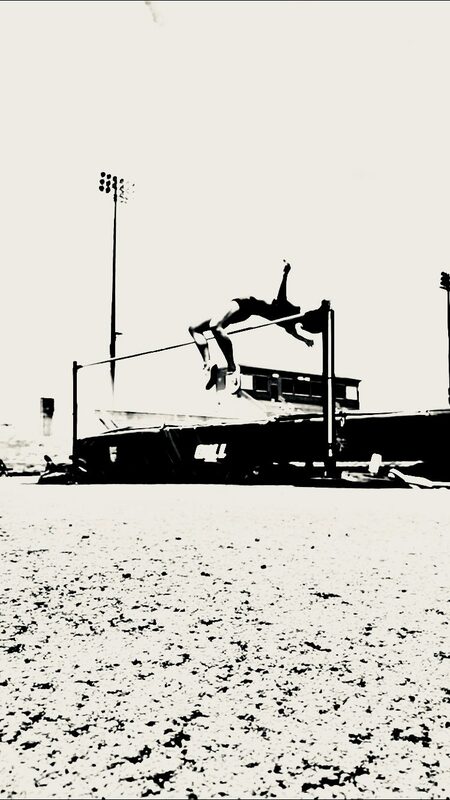 I chose to give up my spot at the state meet in the pole vault my senior year because I wasn’t comfortable on the 150lb pole. Instead of seeing this as a small road block from high school state rules and regulations, I saw this as a failure due to being “overweight.” For the first time in my life I began looking at myself in the mirror and picking parts of my body to pieces. i felt if I was lighter I would be able to get my body easier over the bar in pole vault and in high jump. At the time I didn’t understand that a stronger and more powerful body was necessary in those jumping events. 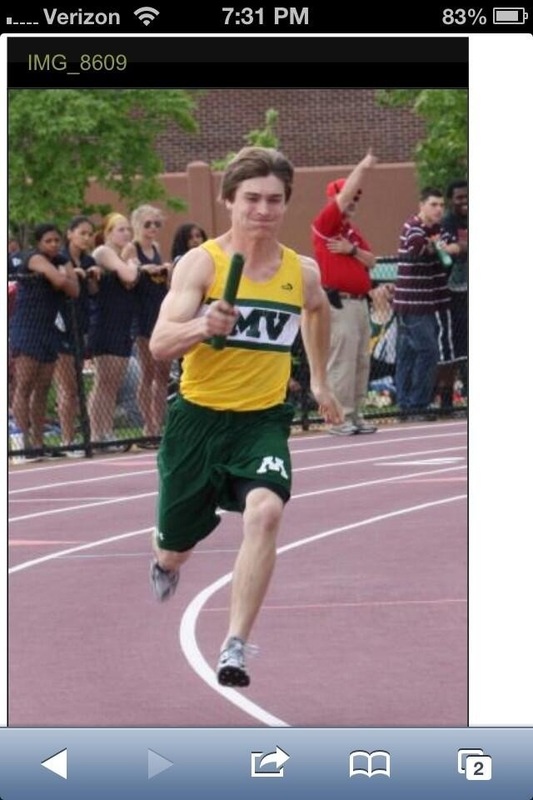 I graduated from high school and accepted a track and field scholarship to college. 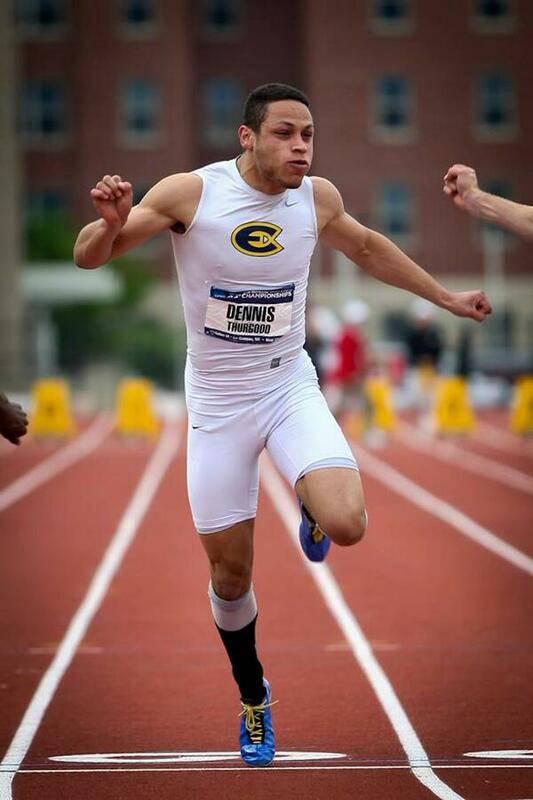 Uniform style shifted majorly between high school and college track. 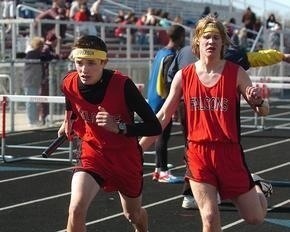 Gone were the days of wearing boys cross country shorts, I now had an option between spandex shorts or briefs. Genetics blessed me with a strong frame and muscular legs, but at the time I didn’t see that. Since high school I had developed a view of myself that was extremely distorted. I can still see myself looking in the mirror and being horrified. The spandex were so tight around my “thunder thighs” and the briefs were even worse because they showed off even more of my “square” and muscular frame. I envied the girls competing around me who were long and thin, falsely believing that was the missing ingredient to my success. I remember intentionally not lifting as much as I could have in the weight room because I didn’t want to “bulk up.” I look back now and realize I missed out on personal records (PR’s) and medals because I wasn’t allowing my body to reach its full potential. What came next was a slippery slope. The female athlete triad is a disorder characterized by low energy availability, amenorrhea (loss of menstruation), and decreased bone density. Females who participate in sports are at risk of developing one or all three parts of the triad. Having any component of the disorder is enough to compromise performance and health in general. All girls who compete in sports are at risk, but those that compete in sports that are weight dependent tend to be more at risk. Even though the triad is traditionally thought to be more common in long distance runners, it is important to understand it can happen to anyone. After four years of college track and field I went onto graduate school to pursue my Doctorate in Physical Therapy. I weighed 140lbs at the time and I was worried that without the organized and mandatory two-a-day college track practices I would gain weight. 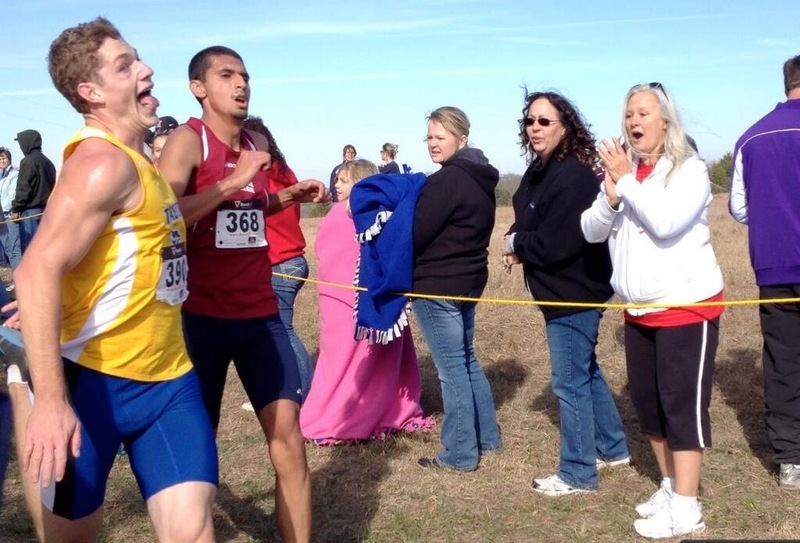 As a multi-field event athlete in college, I did not run more than a few times a week. It was only at practice and it was usually for warm up or short sprints to build power for my jumps and throws. When I began PT school I started running long distances (for the first time in my life) and performing excessive cardio with hopes to shed “a few pounds.” I downloaded a calorie counting app and decided I wanted to lose 10lbs because I thought that that would make me happier. I know now how ridiculous and dangerous this thought was. Even though the pressure from competing in track was over, I was still trying to find my self worth in a number on a scale. I obsessed over staying under 2000 calories a day because the app arbitrarily assigned me this number in order to lose 10lbs. The app didn’t know anything about my level of activity, it didn’t know what my genetic make-up was or how my body was made to perform, and it didn’t educate me on what foods I should have been eating to fuel my body. Macronutrients (carbs, fats, proteins) and micronutrients (vitamins and minerals) are essential nutrients in food for sustaining our bodies not only when we play sports, but also for sustaining LIFE. Macro’s and micro’s are outside of the scope of this article right now, but just realize they are required in order to be able to function. Low EA has specifically been linked to depression, low self-esteem, anxiety disorders, anemia, fatigue, increased risk of infection, and increased risk for illness.1,2 I attributed my fatigue and anxiety levels to be normal stress that anyone would have in their first year of professional school. This was totally incorrect. PT school wasn’t draining my energy, my poor diet and lack of recovery from exercise was. Food creates energy in our bodies and our bodies physiologically require that energy for us to be able to live, breathe, and perform. 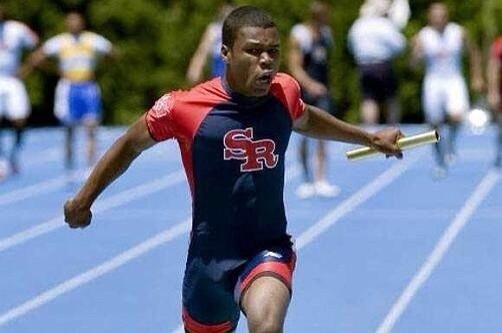 A nutritious diet is vital for competitive athletes, depending on what distance you run or what events you do in track and field the percent of certain macro’s and micro’s you require may differ. For example, sprinters and long distance runners rely on different physiological systems and therefore require a different percent of daily carbohydrates, proteins, and fats. When people want to lose weight they often think about cutting carbs first. If you are an athlete, particularly a long distance runner, your body thrives on carbs. If you are starving your body of the nutrients it requires you are hindering yourself from achieving your best performance. Energy systems are another topic that is outside the scope of this article, but understand that food is required for you to function. This is not a suggestion, this is SCIENCE. Think about trying to drive your car on an empty tank, it wouldn’t go anywhere! If you have questions about what a nutritious diet looks like for you, you should seek out a sports dietitian, someone who is specialized in customizing a nutritious diet for athletes. It wasn’t long before I started developing the third component of the triad, decreased bone density. I was running a minimum of 3 miles every time I exercised and sometimes I would get on an elliptical or bike afterwards, exercising for 1-2 hours a day at least 6 days a week. I started having a sharp pain in my foot so I went to see a sports medicine physician who diagnosed me with a stress reaction (early stages of stress fracture). Despite advice from him to restrain from high impact activity and my knowledge of rehabilitating this injury, I continued to run because I was determined to break into the 120’s on the scale. As a first year physical therapy student I knew enough about the female athlete triad to answer a question on an exam, but I didn’t realize I had fully developed the syndrome. I knew I had disordered eating and exercise habits, but I didn’t fully comprehend that I was starving my body of nutrients, recovery, and necessary functions vital to live and thrive. I hit rock bottom when I passed out before class one day and had to go to the hospital. Earlier that morning I skipped breakfast to go for a run around campus. I was studying in a lab before class when I noticed I was having heart palpations. I stood up quickly out of fear and collapsed. I achieved my goal to weigh in the 120’s, but at the expense of my health. I was miserable. I had put myself through torture for an entire year because I wanted my body to be smaller, robbing it of full potential. When I looked at myself in the mirror I didn’t look fit, I looked worn down. My friends and family told me I looked sick and frail. I was killing myself all for a number on the bathroom scale. It took me 3 months before I was able to run on land again without pain in my foot. A physical therapist recommended I use a couch to 5k program to ease back into running. At the end of the program I actually set a new 5k PR, something I never thought I would do as a jumper and thrower. A PR that I was incapable of running my first year of PT school because I was destroying my body. If you are a competitive cross country athlete, track and field athlete, or even a recreational runner and you think you may have one of the components of the female athlete triad PLEASE reach out for help. Disordered eating is one of the first behaviors that females demonstrate before developing components of the triad. Talk to your doctor, your athletic trainer, your physical therapist, or someone you feel comfortable with that will get you to the right help. Caring for athletes with the female athlete triad is a multidisciplinary approach. Coaches, parents, and medical professionals PLEASE be looking out for signs and symptoms in these girls (and guys, yes they can experience components of this disorder as well). As a physical therapist I don’t see patients for this diagnosis, I see the behaviors while I am treating something musculoskeletal in nature. If not properly treated appropriately the female athlete triad syndrome can have lasting effects on the skeletal and reproductive system for life. Five years later I am a practicing Doctor of Physical Therapy. I completed a sports residency after PT school because I wanted to work with athletes of all ages. 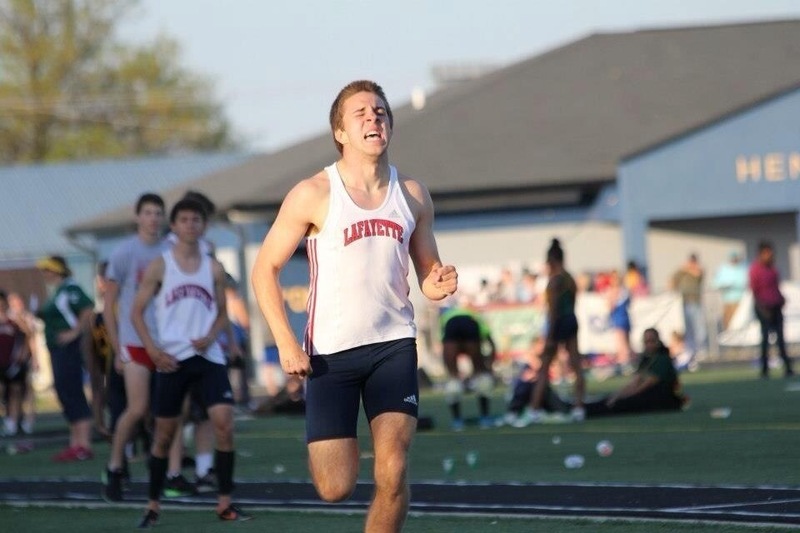 I wanted to share my story here on the TrackProbs blog with the hope that this message would inspire someone to get help or choose a different path, even if it is just one person. I hope that through sharing my experience, someone else doesn’t have to go through what I went through. Skinnier does not mean stronger. A number on the scale does not equate to new PR’s. Setting a goal to have a “thigh gap” won’t get you a scholarship to college. As female athletes, our bodies need to be strong, powerful, and have the ability to endure until we cross the finish line and/or go for our last attempt. If you are starving your body of the fuel and the recovery it REQUIRES, you will never see your full potential. Stickler L, Hoogenboom BJ, Smith L. THE FEMALE ATHLETE TRIAD‐WHAT EVERY PHYSICAL THERAPIST SHOULD KNOW. International Journal of Sports Physical Therapy. 2015;10(4):563-571. Mountjoy M, Sundgot-Borgen J, Burke L, Carter S, Constantini N, Constance L, Meyer N, Sherman R, Steffen K, Budgett R, and Ljungqvist A. The IOC consensus statement; beyond the female athlete triad–relative energy deficiency in sport (RED-S). British Journal of Sports Medicine. 2014;48:491-497. 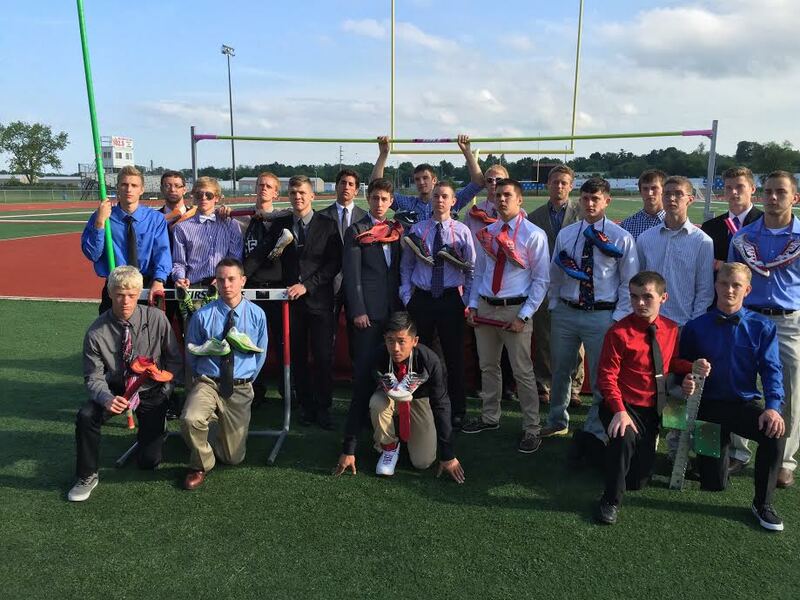 West Plains High School Men’s track and field team isn’t your average track squad.The team consists of 18 graduating seniors, 8 of which accepted track and field scholarships. The men have won 3 consecutive Ozark Championship titles, it’s no wonder the team’s motto is, “Take care of business.” This year at their district meet, the guys were down by 1 point going into the 4X4. A home stretch win helped them to secure the district championship and advance to the Missouri state meet.The men from West Plains placed 2nd as a team in Class 4 in the MSHSAA State Track Meet. When asked about this season, athlete Nghia Dinh responded, “We had a heck of a season!” In conclusion the men finished up as Ozark Conference Champions, District Champions, Sectional Champions, and had an amazing second place finish at the Missouri State Meet. Not only were they successful on the track, but they were also owning it in the classroom. 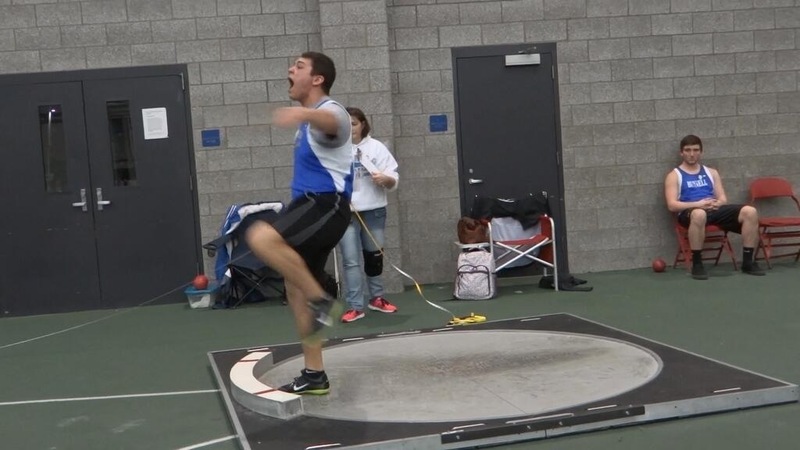 West Plains Men’s Track and Field team have a team GPA of 3.7! I clicked on Jenna’s twitter handle to make sure this picture was of the author of the tweet before I retweeted it. The picture sparked my curiosity, and the next thing I did was turn to Google. Numerous articles popped up about Jenna Fesemyer so I proceeded to read a couple of the articles before I got in touch with her myself. Instead of recapping what I read (and didn’t read—there were PLENTY of articles on Jenna’s incredible story), I decided to get Jenna’s take first hand. Jenna was born with Proximal Femoral Focal Deficiency (PFFD). PFFD is a non-hereditary birth deficiency that varies among those who are born with it. In Jenna’s case, she was born with a shortened leg and without a hip joint. 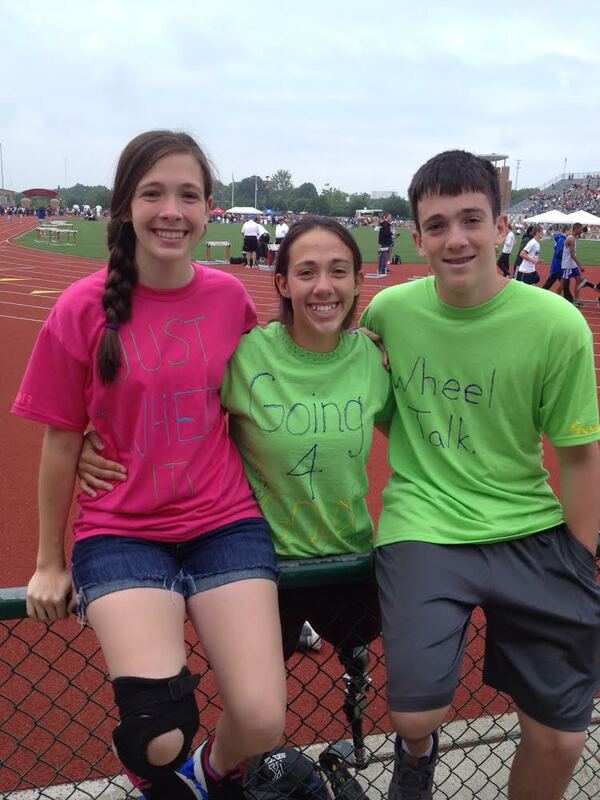 Not only was Jenna born with PFFD, but she also came into this world with a brother and a sister—she is a triplet! Jenna told me that growing up a triplet has been a lot of fun; she said, “My siblings have always been so supportive of me and everything I aspire to do! 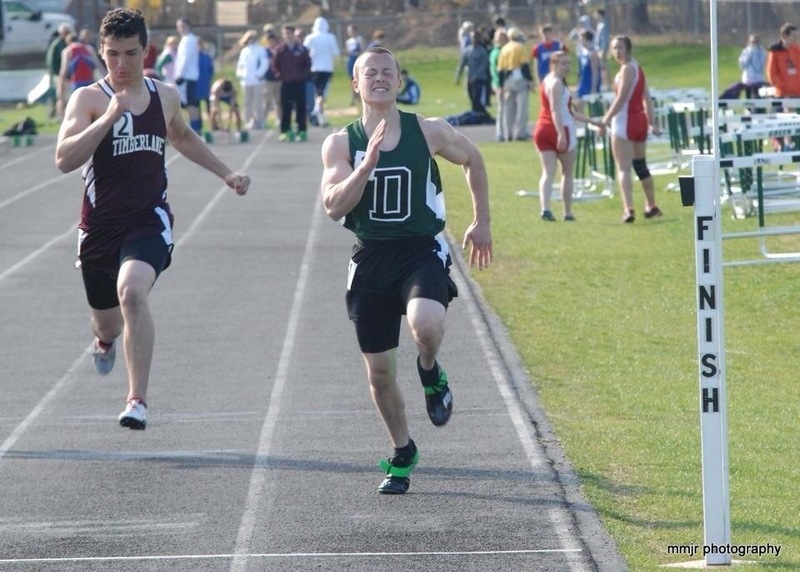 My brother, Jonathan, often acts as my sprint coach on the track. My sister is very good for moral support.” Just when you think the family connection couldn’t get any stronger, Jenna’s mom is the high school track coach and was Jenna’s gym teacher in elementary school—who Jenna says treated her just like everyone else. Jenna said her dreams also would not have been possible without her dad helping her overcome obstacles and motivate her to reach her goals. Growing up with such strong family roots, Jenna was taught that the word “can’t” was simply not allowed. “Not being able to do something is because you don’t put your mind to it,” Jenna said. In the midst of my communication with Jenna, the only time she even mentioned PFFD was when she told me what it was and that she was born with it. The rest of my conversation with her was upbeat, encouraging, and truly amazing. Jenna’s life completely changed in 2012. 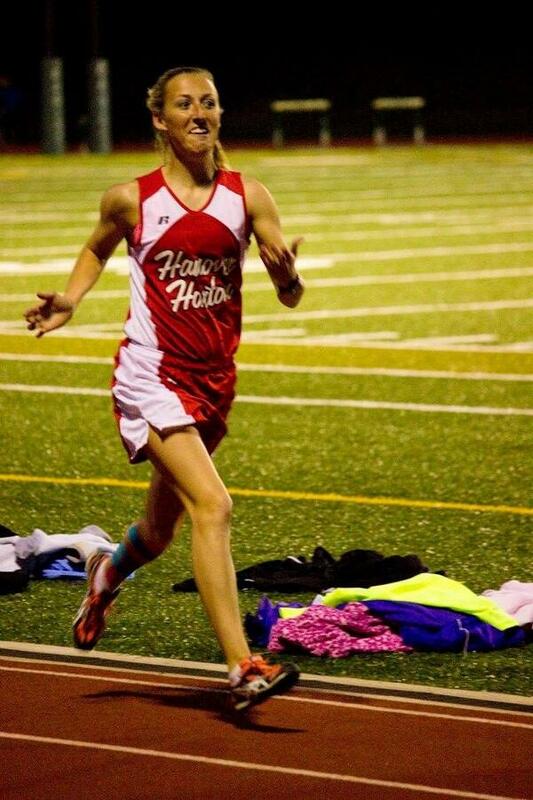 This was her first year in high school and competing on the varsity team in discus. 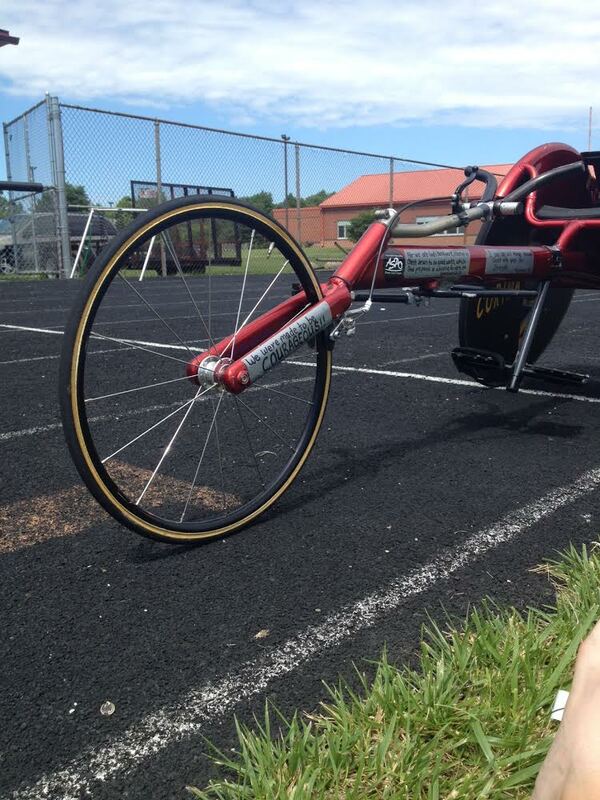 In 2012, Ohio decided to have a meeting to add adaptive sports to the state track meet. 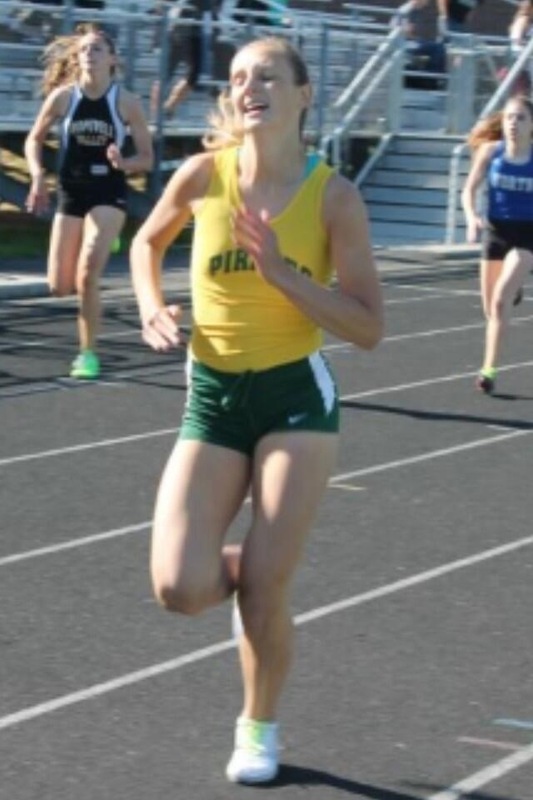 Jenna was the pioneer to try to push this program forward for not only herself, but also all the other athletes with inconveniences across the state. 2013 marked the year of change. That was the year the first Ohio state track meet with wheelchair events was embedded into the high school track and field realm. 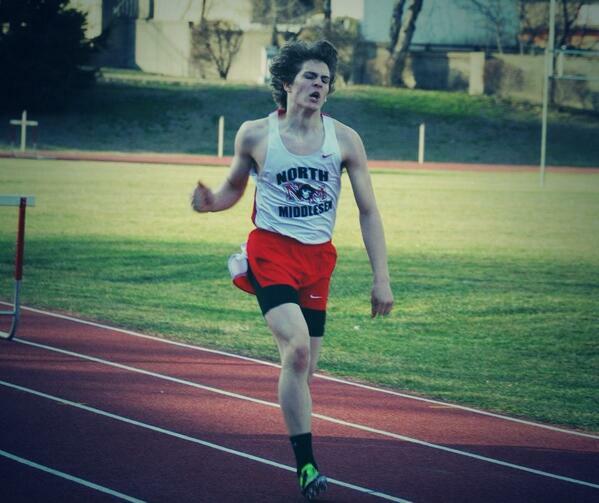 Specific events were the 100m, 400m, 800m, and seated shot-put. 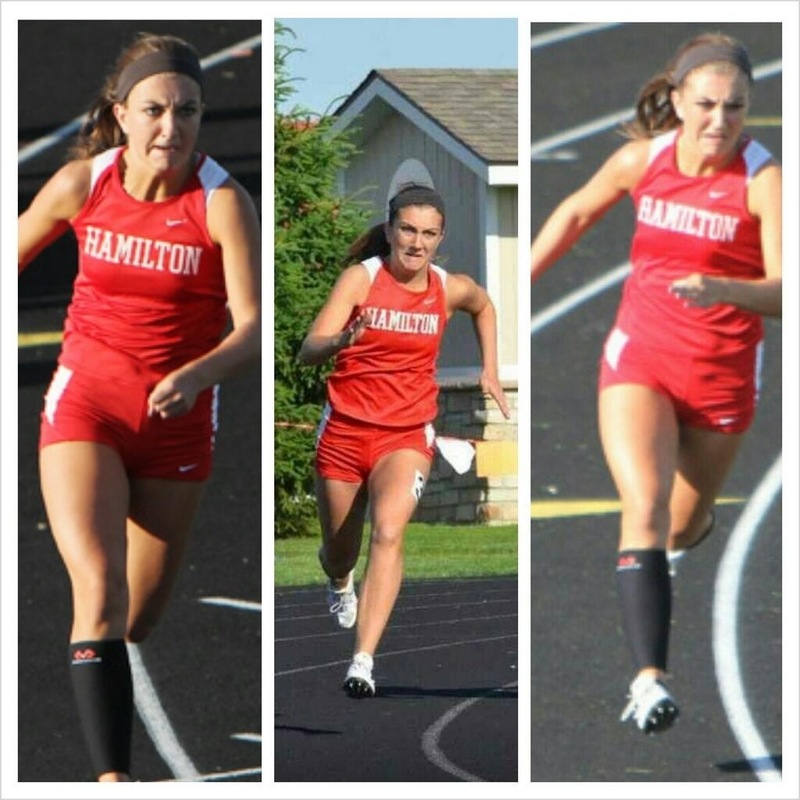 Jenna competed with (not against) the men, not to mention she beat several of them, and set records that she still currently holds in the state of Ohio. In 2014, four other girls joined Jenna at the state competition where she defended all of her titles. 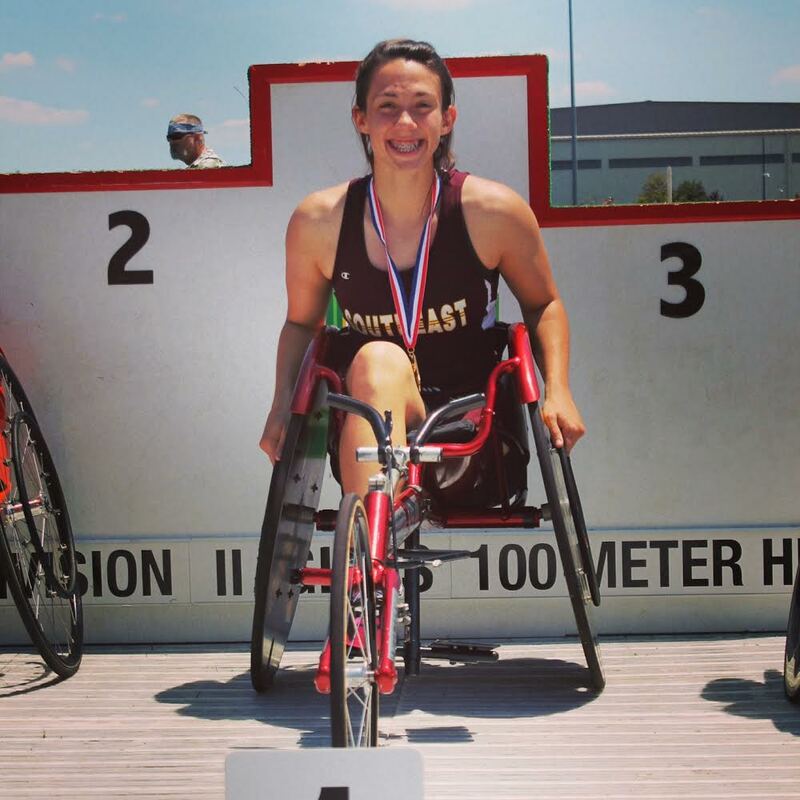 In July Jenna went to the National Junior Disability Championships in Ames, Iowa. There she won the wheelchair racing events in the 100m, 200m, 400m, and 800m. 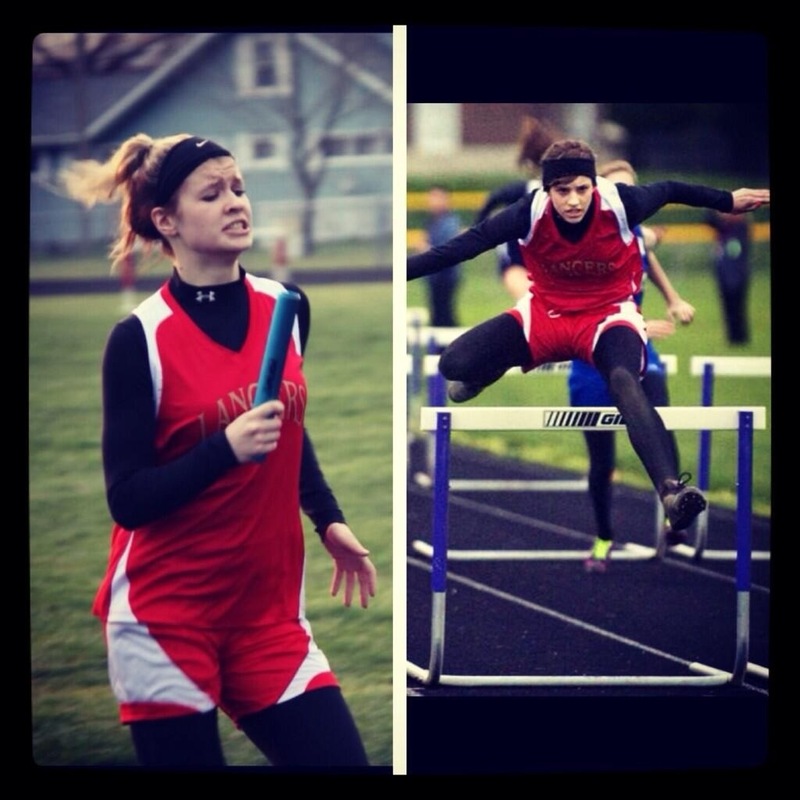 Not only did she dominate the racing events, she also made her mark in the field events. Jenna set the national record for the seated discus, placed second in the shot-put, and third in the Javelin! 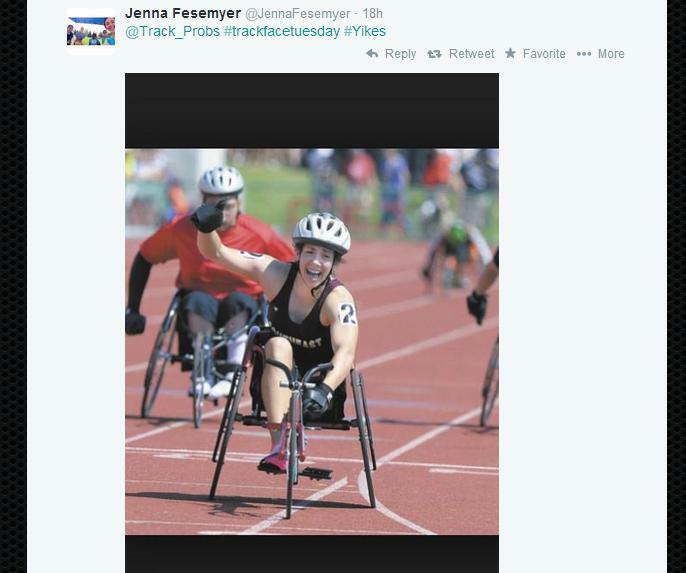 I hope the next time you are on the track or in the classroom and you say “I can’t,” you think of Jenna. Set your mind to it, work for it, and go get it. No excuses. Go ahead Robert Morris. Cut your athletic teams with minimal costs, winning records, and high academic achievements so you can save some money for your “high-profile” sports. Robert Morris University has made the decision to save money by cutting out 7 athletic programs, two of which include the men’s cross country and track and field team. The money RMU will save by cutting 80 of 560 athletes will go to increase the amount of scholarships allotted to other athletes, make facility upgrades, and deal with increased travel and recruiting budgets. RMU’s men’s track and field team is coming off an incredible season. Last year they were third in the Northeast Conference (NEC), they won the highest team GPA award, and they had a nationally ranked javelin thrower. 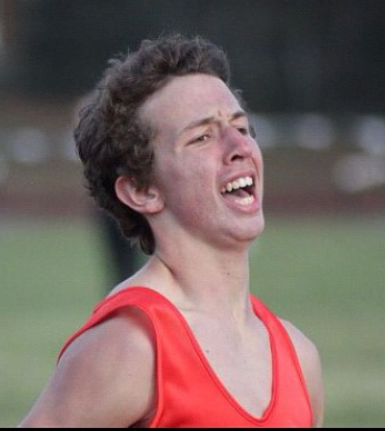 The cross country team is also coming off a remarkable season. They finished second in the NEC and had the NEC freshman of the year. It should not come as a surprise that head cross country AND track and field coach, Michael Smith, has won the NEC Men’s Track and Field Coach of the Year two times. Most recently Coach Smith won the NEC Men’s Cross Country Coach of the Year. The list of success goes on and on, but the elephant in the room remains. Come May, there will no longer be a men’s XC or track and field team at RMU. 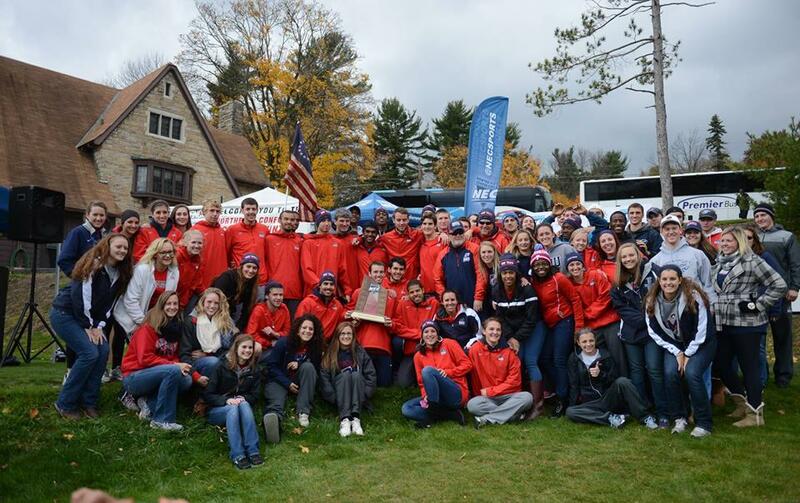 RMU Men’s and Women’s Track and Field team celebrating at the NEC Championships last season. On the U.S Department of Education’s website they list information about athletic costs for all institutions. Game day expenses for the football team total at $394,922. 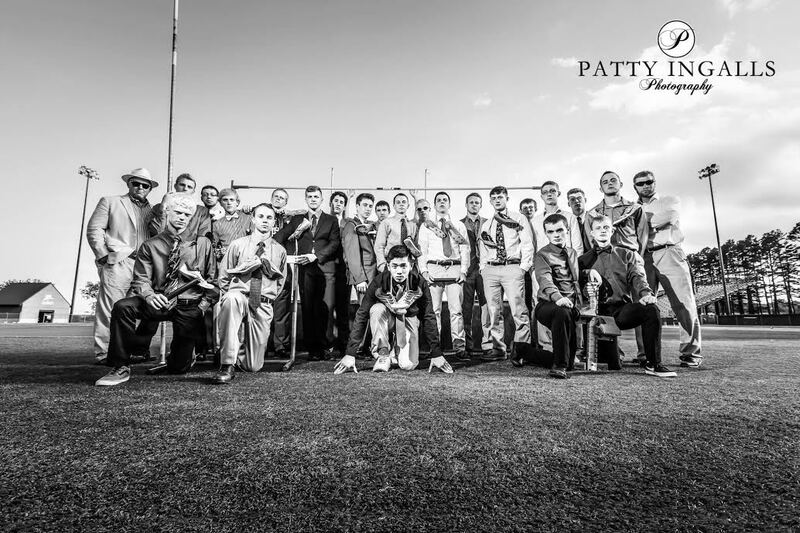 For the men’s track and field team the total game day expenses are a whopping $12,257. Football and basketball combined at RMU bring in around $2.77 million in revenue. A large contribution is also made by all other men’s sports; together they bring in around $2.78 million. It takes an outstanding amount of money to run an athletic department; however, cutting athletes out of the program completely is not the only solution to make ends meet. Consider the budget sequestration in 2013. It reduced United States federal government spending by making budget cuts across the board and not just a couple of departments. Why not cut budgets of all sports a little bit and keep everyone around? The solutions are limited, but they still exist. Unfortunately, RMU has decided to take the easy way out and cut 7 teams out completely. RMU is giving the athletes the option to keep their current scholarships or transfer schools next year. Even with this “help,” many of the athletes are asking themselves, “What are we going to do now?” Nobody plans for this when they sign a scholarship. Dreams are becoming nightmares, hearts are being broken, and the future is uncertain for the athletes being cut at RMU. 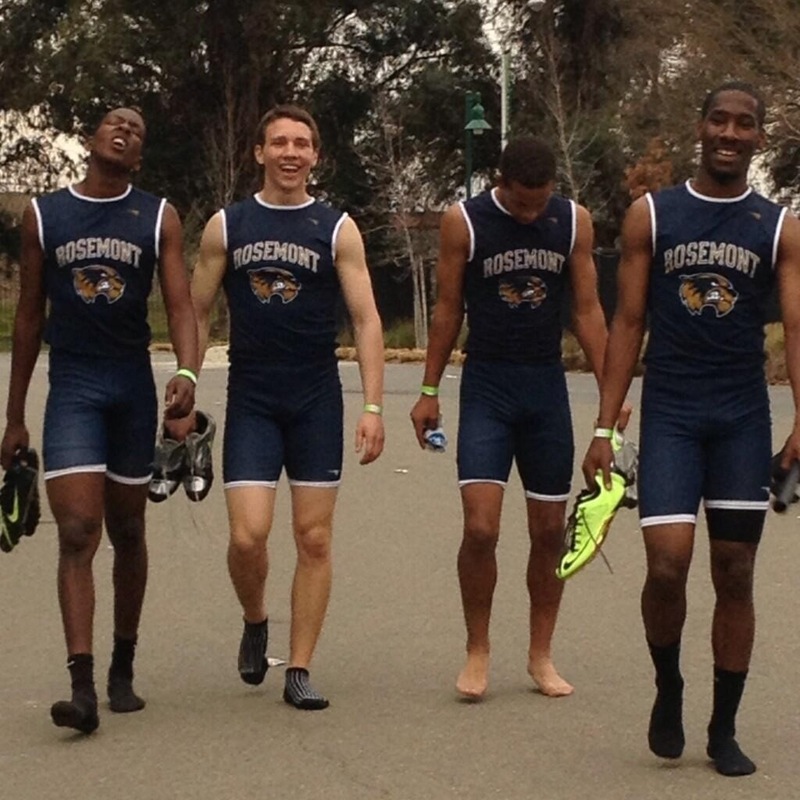 They have dedicated countless hours in the classroom and on the track (court, field, etc.) to compete for the Colonials academically and athletically and here is how they are being thanked. 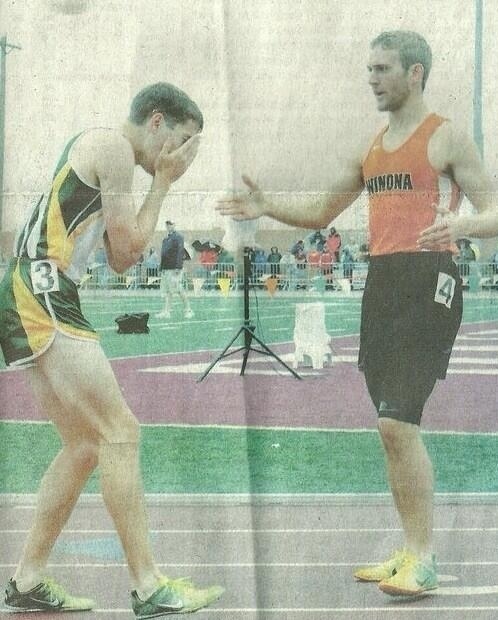 I know we all joke about how underrated our sport is and throw out a little #trackprobs, but it truly is a sad reality. 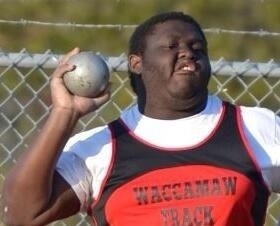 Once again track and field gets shafted. You find yourself stalking people’s track results whenever you have Internet. 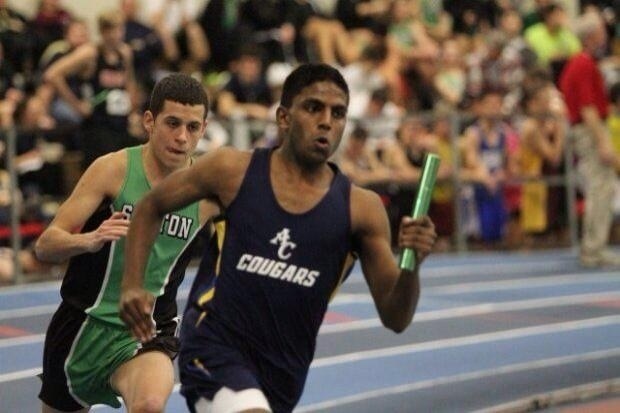 While composing your Christmas list you realize everything you want is related to track. Trainers, brightest pair of spikes, spandex, etc. You spend an entire practice on block starts. You are hungry all the time from two-a-days. 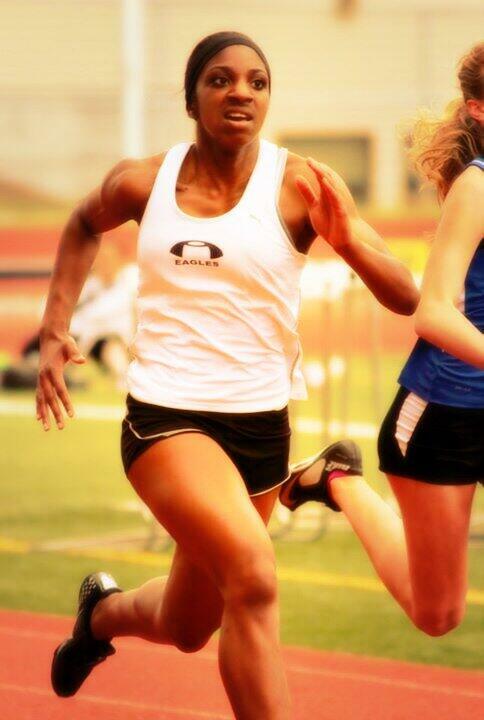 You are having to dodge footballs because it’s football season and your track wraps around the football field. The thigh area of your pants is getting tighter and the waist area is getting bigger. A “day off” consists of being sore from the previous practice and dreading whatever brutal workout your coach has for you the next day. The workout you finally mastered at the end of last season is now your worst enemy again. Watching the newbies drop like flies during the “weed out” workouts. You learn that tires are multipurpose. They don’t JUST go on vehicles, they also get flipped.. by you.. at practice. Reps, reps, and more reps in the weight room. You get shin splints from running the loop around your school. You find yourself washing your hands whenever you are near a sink because your hands are so dirty from whatever crazy circuit your coach made up that day. 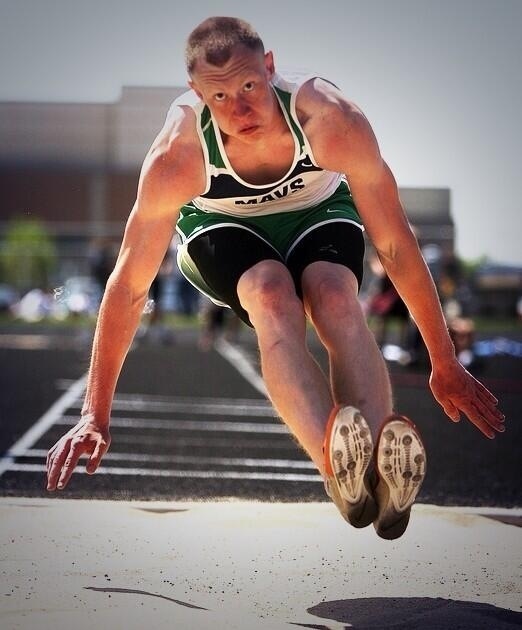 You run every day….but you do field events. You have a countdown for when coach will finally let you bust out the throwing implements and pits. You don’t know what to wear to practice because in the morning it’s cold, but in the afternoon it’s hot. You look like a sweaty mess in class… sorry fellow students, we have to practice sometime. Ice baths become your favorite kind of bath. You have a countdown until indoor starts. If looks were lethal… wait, shouldn’t he be happy? He’s in first place! Remember, it’s not whoever crosses the line first, it’s WHAT ever. Even fish faces. 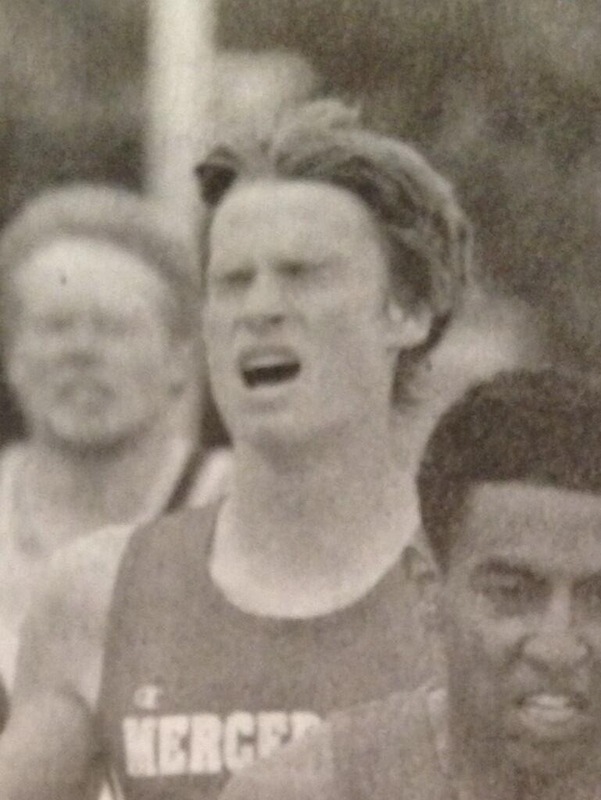 Napoleon Dynamite back on the track! Relay team or boy band? This guy….knows where all the hidden cameras are on roller coasters.